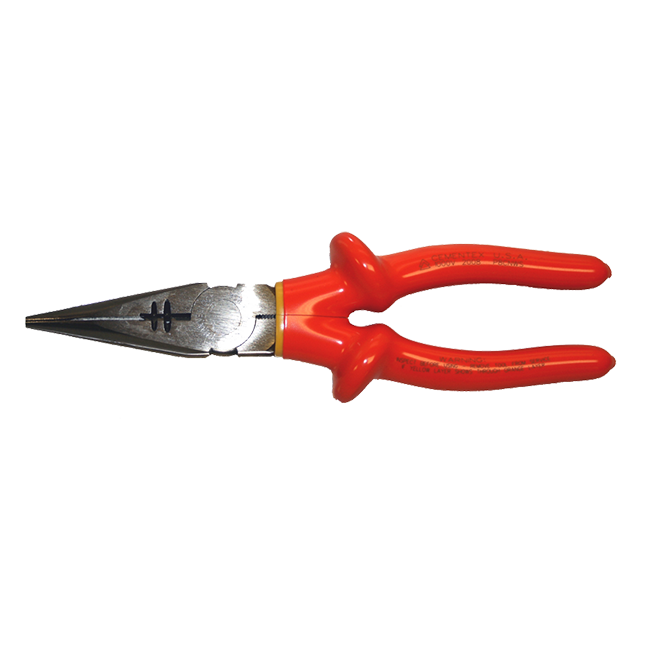 12 and 14 AWG wire stripper. Crosshatch patter on jaw grips works tightly. Knife and anvil cutting edge — ensures perfect mating. Laser heat-treated cutting edge — superior cutting edge life. High carbon C1080 steel for superior performance.